Aurora, IL, June 10, 2014 ---- The Opera electromagnetic design tool has helped to accelerate commercial development of a new generation of innovative high speed flywheel energy storage systems. Created by the technology development company Ricardo, the new energy storage systems are designed to reduce the fuel costs of hydraulically-powered construction equipment such as wheeled loaders and excavators. Thanks to the speed and flexibility of Opera software, Ricardo investigated and characterized over 100 different design concepts in just three months, before settling on the final design solution which employs magnetic coupling to rotate a composite flywheel at around 45,000 RPM. Ricardo’s new TorqStor technology stores energy in a carbon-fibre composite flywheel contained within a permanently-sealed vacuum chamber, which can be scaled in size to provide energy storage solutions for different equipment. 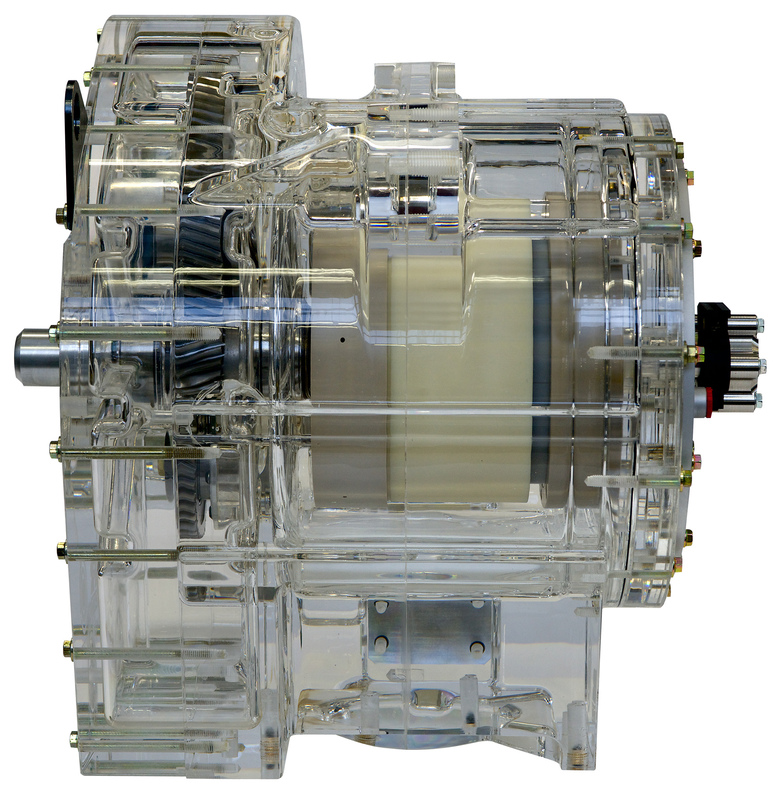 The flywheel is linked by an innovative magnetic coupling and gearing system, and rotates at 45,000 RPM. Integrated with a construction machine’s hydraulic power system, TorqStor stores the gravitational energy that is currently unused during the downward movement of the machine’s arms or booms, and then uses it to help power subsequent upward movement. This major improvement in operational efficiency enables operators to achieve significant fuel savings and will potentially allow machine manufacturers to use smaller capacity engines for the same load-moving performance. When Ricardo first started development of magnetically coupled kinetic energy storage devices a number of years ago, it looked at a number of electromagnetic simulators on the market to help shorten design-to-manufacture times. The Opera package from Cobham Technical Services emerged as the clear favorite because of its scripting flexibility for automating design investigations and ease of interfacing to other software tools, and it is now Ricardo’s electromagnetic finite element analysis (FEA) tool of choice. 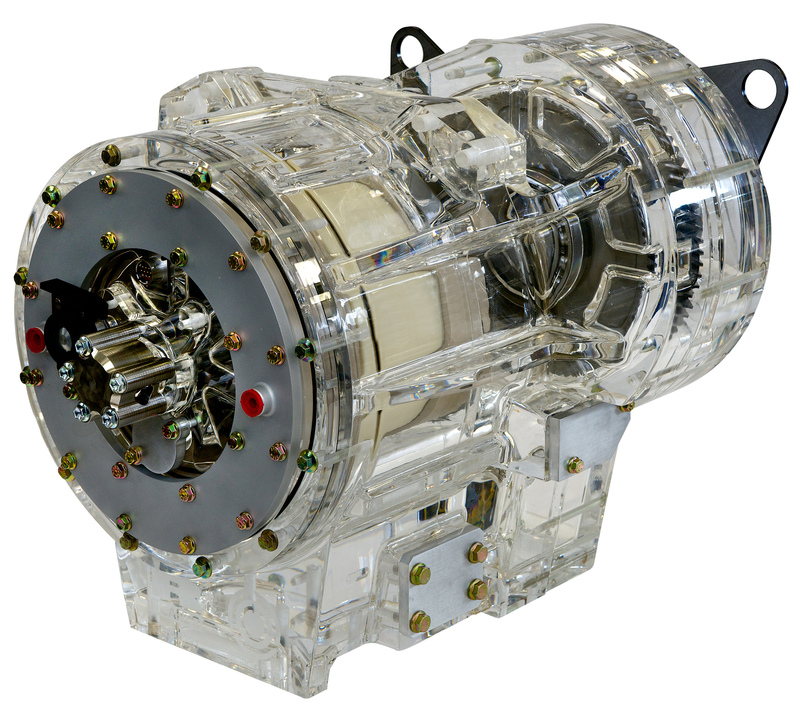 The first two generations of Ricardo’s flywheel energy storage were designed for integration with the powertrains of hybrid and all-electric vehicles such as cars and buses, to provide traction power. Continuous research, indicating that even higher efficiency gains could be achieved in applications involving frequent energy storage and demand cycles, has now led to the TorqStor development. Time-to-market is critical in today’s energy conservation industries and Ricardo set a demanding 3-month target for all magnetic analyses for the TorqStor project. During this period the development team simulated more than 100 individual design concepts using Opera, each involving successive changes to a wide range of parameters such as material properties and magnet temperatures to examine their effect on torque capacity and magnetic losses. The entire operating cycle of the device needed to be accurately simulated in order to fully evaluate its performance, so relative rather than absolute parameter changes were employed to help minimize analysis time. To further accelerate analysis, Ricardo uses the three dimensional (3D) version of Opera to initially configure a model and derive data such as the end loss factor of the permanent magnets in the TorqStor coupling rotors, then switches to the less computationally intensive 2D version for the bulk of simulation tasks, such as deriving the torque per unit length of the flywheel for different configurations. Despite the complexity of the models, each non-linear 2D simulation run typically takes less than 30 minutes, with overnight batch processing further helping to shorten the process. Solutions that meet specific criteria in the design space are then modeled and simulated using Opera 3D, to fine-tune performance and provide detailed confirmation of results. The energy storage flywheel in the TorqStor system has a speed of approximately 45,000 RPM and contains a large number of permanent magnets mounted radially around its end face; these couple via stationary pole pieces in the housing to an external rotor which is fitted with a smaller number of magnets, thereby providing non mechanically linked power transfer and gearing functions. 200 kJ capacity prototype of TorqStor was also on show at the recent CONEXPO construction machinery exhibition, with the active components fitted in a transparent case to allow design engineers to view the operational principle. 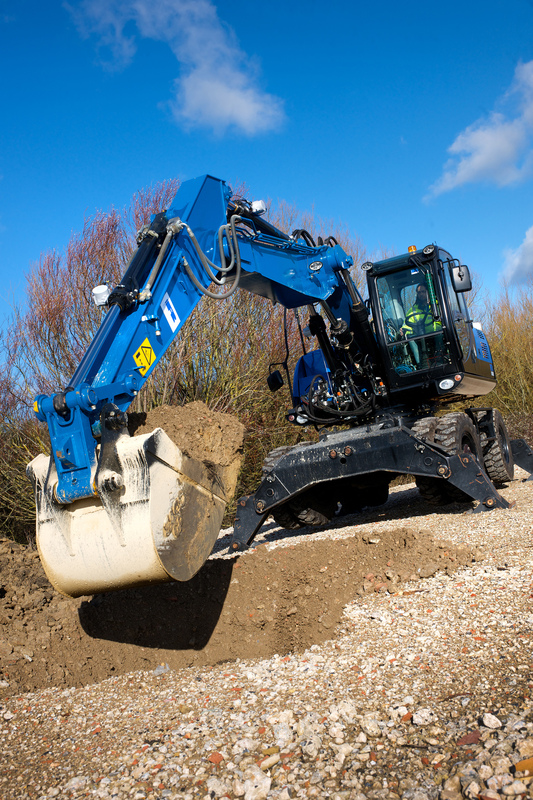 Ricardo estimates that a well integrated solution in an excavator would deliver fuel savings in the region of 10% at typical operating speeds. This example solution has a peak power output of 101 kW, a volume of just 221 liters and weighs less than 100 kg. Ricardo is already accepting orders from OEMs and Tier 1 manufacturers for pre-production prototype TorqStor units, for delivery in late spring 2014. Cobham specializes in meeting the demand for data, connectivity and bandwidth in defense, security and commercial environments. Offering a technically diverse and innovative range of technologies and services, the Group protects lives and livelihoods, responding to customer needs with agility that differentiates it. The most important thing we build is trust. Employing more than 10,000 people on five continents, the Group has customers and partners in over 100 countries. Cobham Technical Services produces the world's most advanced software for modeling and analyzing electromagnetic equipment and effects. Its virtual prototyping tools speed the design process - helping to achieve a user's goal, whether that is lowest cost, optimum performance, ease of manufacture, or the best combination. Ricardo plc is a global, world-class, multi-industry consultancy for engineering, technology, project innovation and strategy. Our people are committed to providing outstanding value through quality engineering solutions focused on high efficiency, low emission, class-leading product innovation and robust strategic implementation. With almost a century of delivering value through technology, our client list includes the world's major transportation original equipment manufacturers, supply chain organizations, energy companies, financial institutions and governments. Guided by our corporate values of respect, integrity, creativity & innovation and passion, we enable our customers to achieve sustainable growth and commercial success. Ricardo, Inc. is the US subsidiary of Ricardo plc. www.ricardo.com. 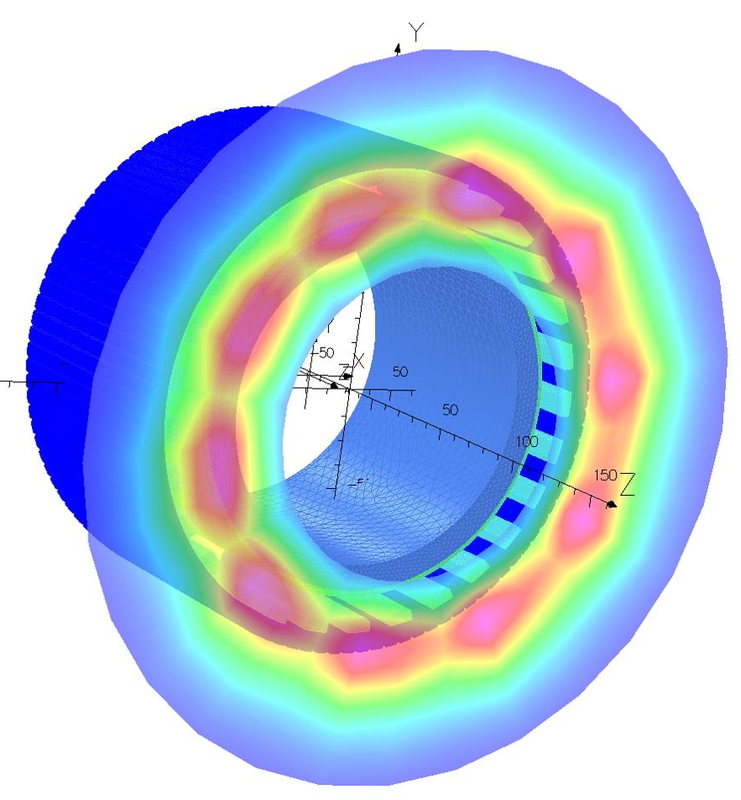 Following initial performance analysis in 2-D, Ricardo used Opera 3-D to investigate end-effects to minimize interaction with the flywheel housing. Cobham’s Opera electromagnetic design software has helped Ricardo to accelerate commercial development of its innovative TorqStor energy storage technology. 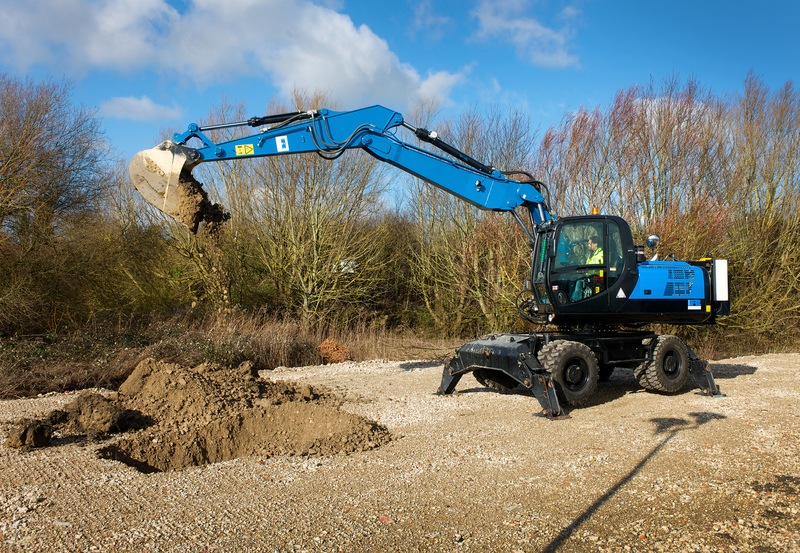 This demonstrator excavator is fitted with a TorqStor energy storage system that can deliver fuel savings in the region of 10%.